Sometimes you are just craving something more satisfying, but you don’t want to eat something that contains a lot of sugar and that’s processed. This is a great alternative that will makes you satisfied without living you with a feeling of guilt. 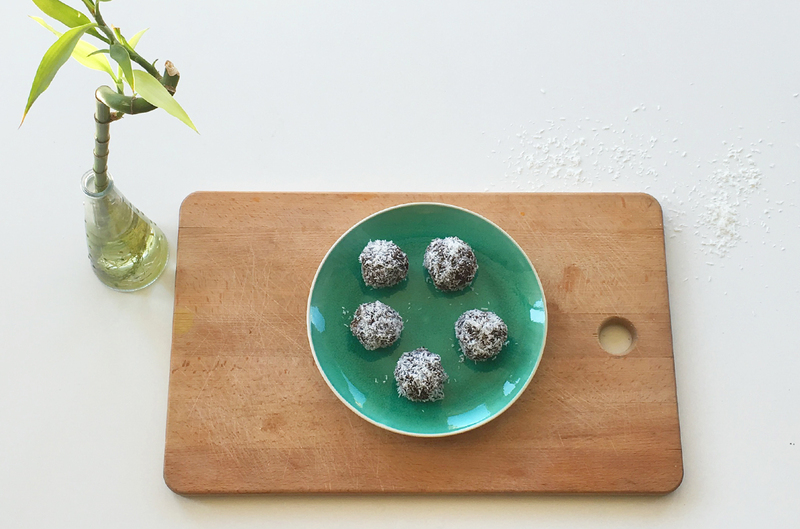 These delicious and healthy chocolate date balls, created by BeYou health coach Teresia are high in protein, contains good fat sources, fiber and boosts your energy levels. That’s also why they are a good snack, on the go, for busy work days, for your workout days, or for a great treat for a coffee or a tea together with friends. 1. In a food processor or blender combine water, Medjool dates. 2. Add the almond flour, cacao powder, vanilla powder and sea salt. Blend until well combined. 3. Place in the fridge to set for 15 minutes. 4. With wet hands, roll into small balls before rolling in coconut to coat each ball. Alternatively, dust with a sprinkling of cacao powder. 5. Put onto a plate in the fridge for several hours to set hard. These chocolate balls also freeze well for storage, so keep stored up ready to reach for a healthy treat that will satisfy even the sweetest tooth. Eat & enjoy your Healthy Chocolate Balls! Follow us on Facebook and get the weekly recipes!